The first week back at work, was really hectic so its been nice to find the time to put my feet up when i get in. I have been spending all day surrounded by children and loud noise its nice to get a little time to my self, so i have been sorting RubyRaeLove out, its going great. But also…. 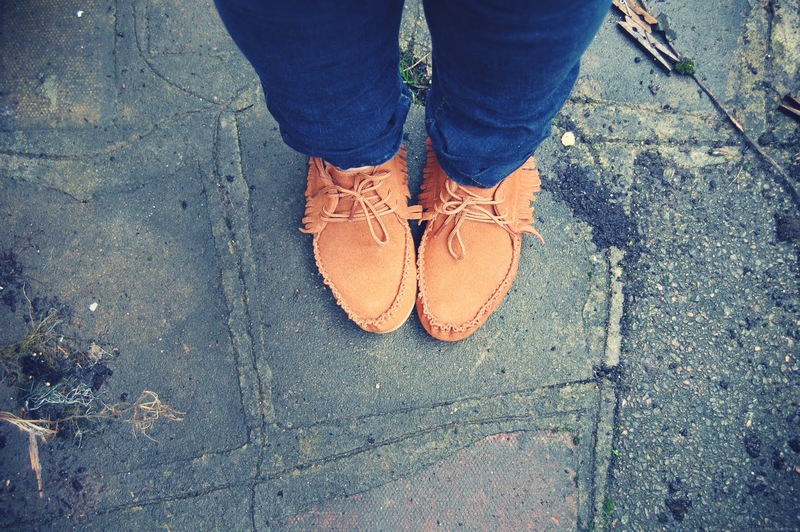 I have been eyeing these lovely moccasins from Minnitonka for a while now, but i always worry about buying shoes online. 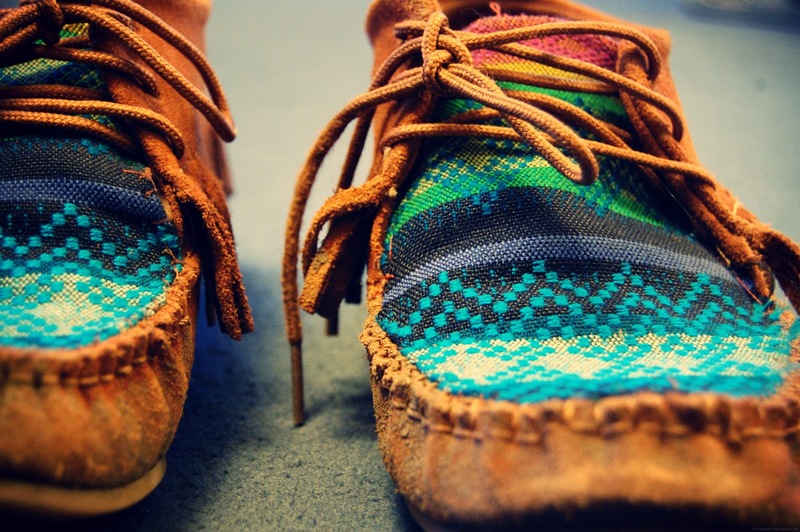 So I ordered the material ( authentic woven latin american tribal cloth) with the idea in mind to add it to the front of my moccasins. The other day when walking home from work i got the shoes caked in mud, so it was perfect timing when i got the material through to jazz them up. It only took me an hour last night from start to finish, i wore them to work today and they made me smile every time i looked at them. I love the pattern on the front reminds me of a pair I had as a child, i think i might make my next pair in a more neutral colour. I hope you all have a lovely weekend? You are so skilled! If I'd have tried that, they'd have been ruined. Absolute love for you and your shoes! 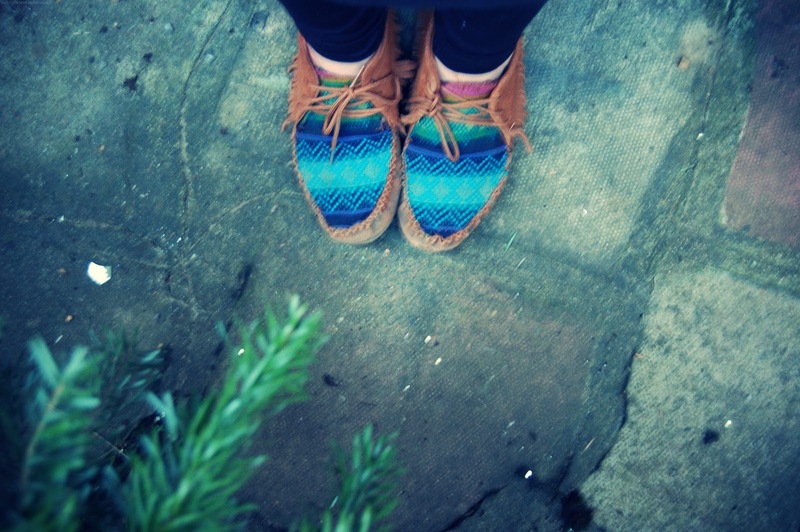 I love them, the colours are fab! I really like this pattern! and the colors 🙂 nice! Aww, they look lovely! You're so amazing at stuff like this Ella! These are amazing, you're so good at stuff like this Ella! These are amazing!! 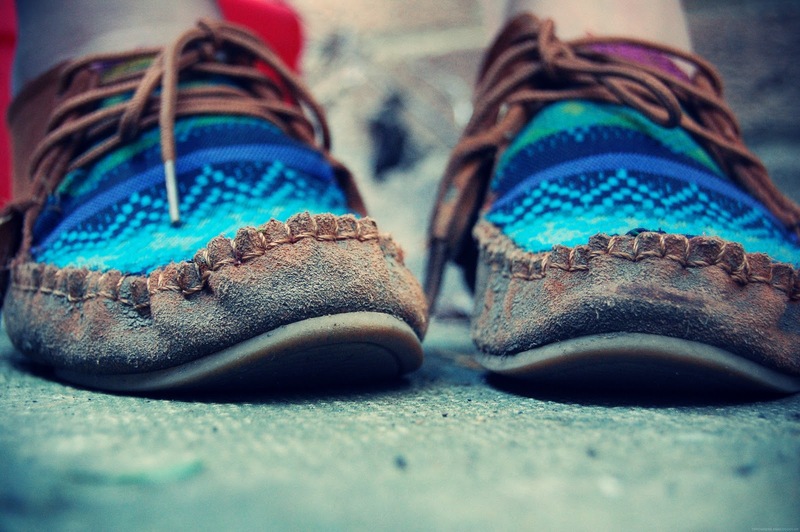 I have a similar pair of shoes that I don't wear, so I think I'll have to copy you! Love these! That pattern is beaut. Wow, I love them! You should definitely do DIY posts – I haven't seen one like this. I would so pay you to make me some of these! They are amazing!!!! I wonder if you know these are all over pinterest? I wanted to buy them and tracked the original photo back here. Wish they were for sale! I LOVE these and would love to make a pair of my own! How did you add the fabric? was it fabric glue or did you sew it on top of the leather? Really creative, you did a wonderful job! These are lovely! I was wondering you purchased the Mocasins themselves?? Just amazing ! You sewed it or gluged ?